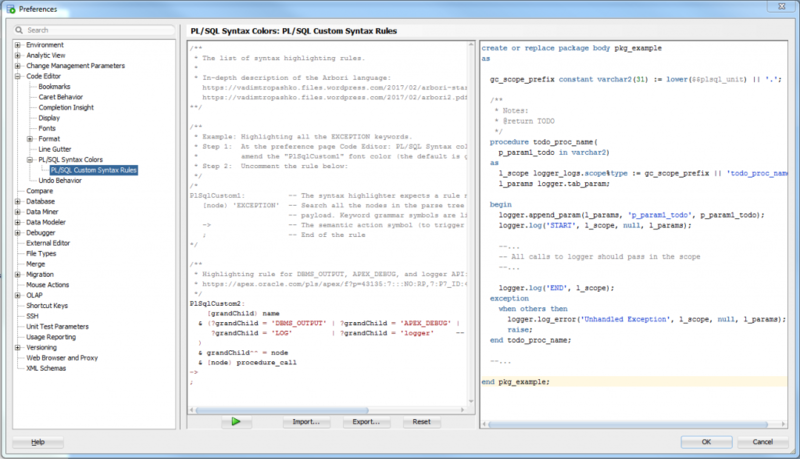 A few years ago I raised an enhancement request for SQL Developer to add custom highlighting, specifically to “grey out” all the calls to logger throughout my code. I blogged about this here. 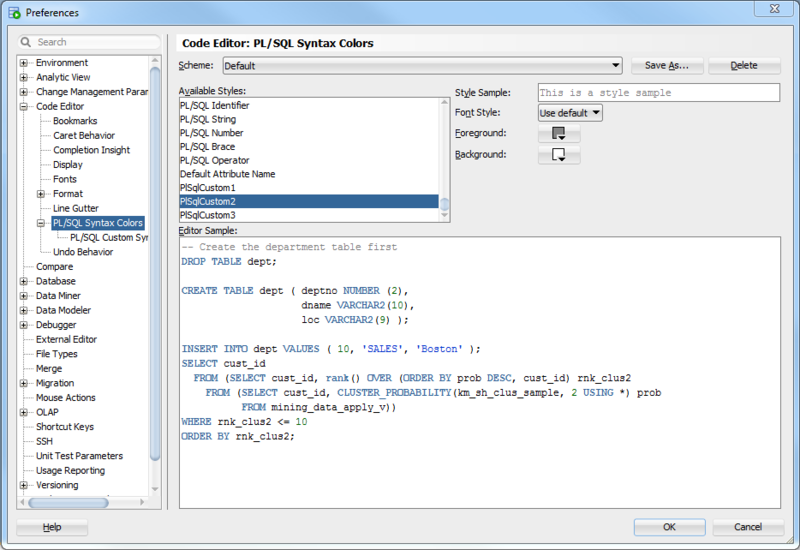 Oracle SQL Developer 18.3 adds this feature with PL/SQL Custom Syntax Rules – and the best thing is, these rules are enabled by default so you don’t have to do anything. Any calls to logger, dbms_output and apex_debug will be greyed out. 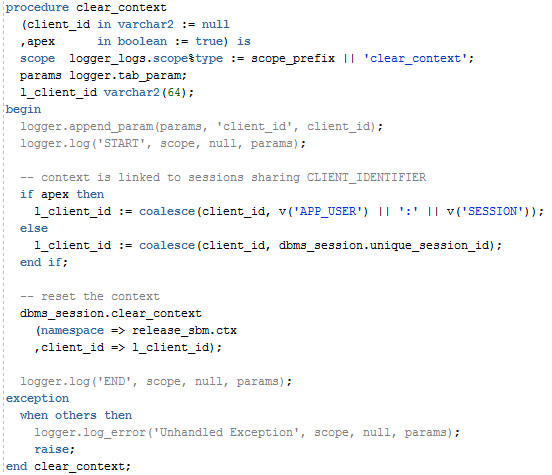 The only thing missing is that it doesn’t pick up the standard logger variable declarations (scope and params). I haven’t worked out how to include these in the rule yet. Application Designer & Developer specialising in Oracle APEX (Application Express), Oracle SQL and PL/SQL. Oracle ACE ♠️. Piano player, father, husband, Christian.